A Living Wage for all and getting fairer funding for Wales and Wrexham to invest in jobs and the economy will be two of the main issues championed by Plaid Cymru during the 2015 General Election. Those were the pledges made Mabon ap Gwynfor, Plaid Cymru’s parliamentary candidate for Clwyd South next May. He also said that banning Fracking and improving health services were priorities as well. Mabon ap Gwynfor said: “It’s about jobs and the economy. Plaid Cymru, along with the SNP and Green Party, is a progressive grouping of MPs at Westminster. It’s increasingly likely that there will be another hung Parliament with no one party having a clear majority. In that event, the Plaid Cymru progressive bloc could hold the balance of power. People can be confident therefore that a vote for Plaid Cymru counts and we can make a radical and positive difference at an UK level. 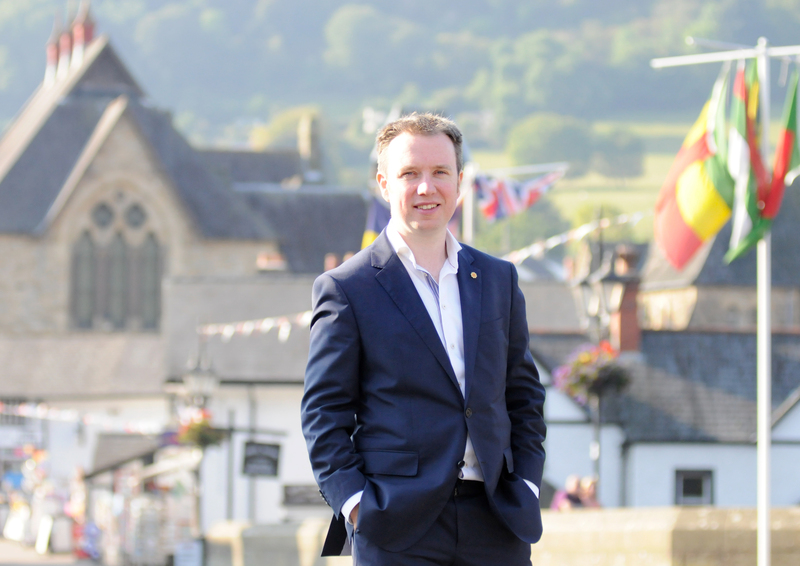 “Securing a Living Wage – currently around £7.65 an hour – for all is crucial to improve the quality of life of many families here in Clwyd South. There are 2,354 families in this constituency living with a problem debt, and at least 20% of our workers live below the living wage. Women especially would benefit as they are less likely to be paid the Living Wage than men due to women being more likely to be in low paid, part-time work. It’s important to see this as part of a larger economic package that helps small businesses by extending rate relief far beyond the current level and reducing VAT for the tourist industry to 5%. Plaid Cymru Councillor Arfon Jones, has already called for a living wage for Wrexham Council staff, which would raise the wages of 2000 workers in the county. Mabon ap Gwynfor explained that securing a fair funding to create jobs and boost the economy was also a key commitment: “The HS2 High Speed train from London to Leeds will cost the tax payer £50bn. We will be paying for this, yet the only real beneficiaries will be London and the south east of England. By scrapping this wasteful extravagance Wrexham Council could be £9.5m a year better off for the next 12 years. Mabon ap Gwynfor is a married father of three young children and lives near Corwen. He has been a long-time campaigner for improved health services, including the campaign to keep hospital beds in Llangollen and campaigning to keep neo-natal intensive care services at Wrexham Maelor. Mr ap Gwynfor is the co-founder and chair of the North Wales Health Alliance, established to fight the downgrading of health services in the region. He is also a Parent Governor at his children’s local primary school, and a director of one of Wales’ National Theatres.